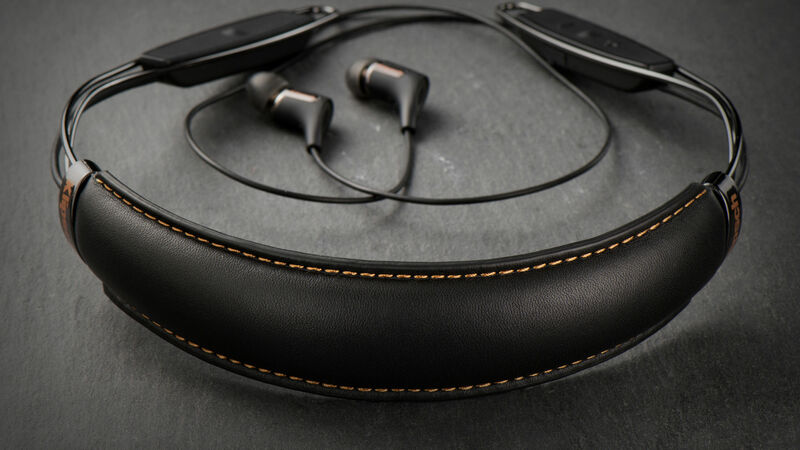 Klipsch Neckband headphones incorporate stylish design with seamless wireless technology. Built upon our award-winning acoustics and including an 18-hour battery life, we added artfully crafted details from copper accent stitching and black chrome finishes to ensure these neckband headphones look as good as they sound. Klipsch neckband headphones use the same patented oval ear tips as our in-ear headphones, which means they’ll stay in place no matter what you’re doing while you wear them. And you’ll want to keep them in since Klipsch neckband headphones use AptX and AAC Bluetooth streaming, which means you’re getting high-quality audio sent wirelessly to your ears without compression.